When it’s critical, you can count on us! If access to your data is critical, 2ndQuadrant guarantees you will have your problems addressed quickly. The PostgreSQL contributors, developers and committers that make up the 2ndQuadrant Support Team are committed to solving issues efficiently and accurately. 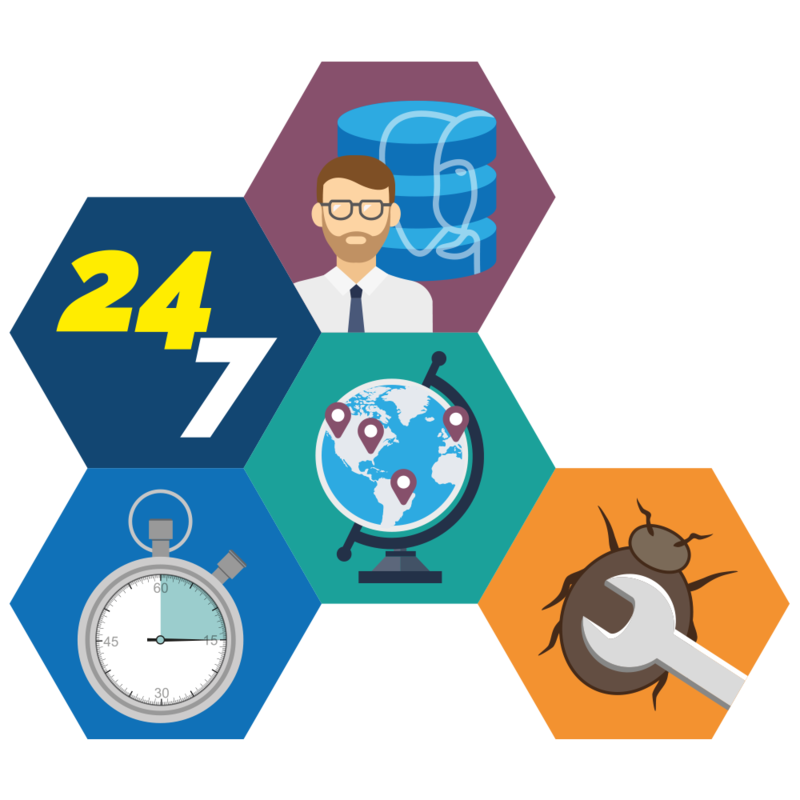 Global coverage with local presence ensures that a PostgreSQL expert will respond within 15 minutes to address your issue, providing a workaround in 4 hours and a bug fix within 24 hours. With more than 15 years of experience, 2ndQuadrant provides high quality Support to PostgreSQL databases for companies ranging from small startups to large enterprises. If speed of resolution is absolutely critical, the Diamond and Platinum plans guarantee fast response and resolution times. All critical situations are handled in real time by globally recognized PostgreSQL experts. The support is always committed to the best answer. Not the first answer. The Diamond plan exclusively offers support for multi-master replication with Postgres-BDR, as well as Quarterly Review Meetings and access to a dedicated Technical Account Manager (for BDR3 and above). 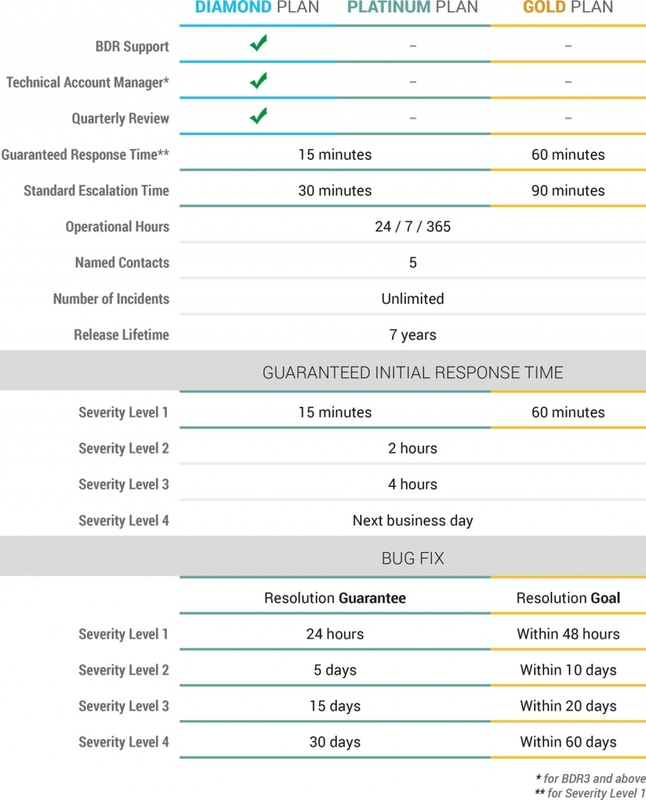 The Gold Production Support Plan is tailored for organizations that are looking for guaranteed response times, resolution goals, and bug fixes – but are not critically bound by time. The Gold plan is available in English and Spanish. Log tickets and securely share information, such as technical documents, to facilitate incident response process during support operations. Securely access software developed and supported by 2ndQuadrant, using certified package repositories. Access the Knowledge Base of technical content written by leading PostgreSQL experts from around the world. Be the first alerted about PostgreSQL news through technical alerts, announcements, release updates, and more. The Portal fully complies with the European Union’s General Data Protection Regulation (GDPR), granting full control of personal data to each user while ensuring its safety. Just like being able to phone a friend, it’s reassuring to know we can put a ticket into 2ndQuadrant at anytime. 2ndQuadrant provides PostgreSQL solutions for the Enterprise. Our support engineers have over 100 years of combined code contributions to the PostgreSQL project, making us the only company to contribute enterprise features to all of the last 13 releases. This is paired with 17+ years of hands-on experience through client engagements and allows us to integrate customized solutions with our customers – making 2ndQuadrant the Gold Standard for PostgreSQL products & services. To request more information about our Production Support Service please complete the contact form below and we will have someone contact you as soon as possible!